Oaklands were defeated by CoLA on Wednesday afternoon, going down 29-48. The visiting team showed why they were favourites for the tie as they built up a 16-0 run over the first 6 minutes of the first quarter. Despite the scoreline, Oaklands were showing a competitive attitude but could find their range or finishing touch in the early exchanges. Megan Haynes continued to lead her CoLA side as she orchestrated most of the away team’s early success, scoring 8 points and assisting on most of the scores in the early run. 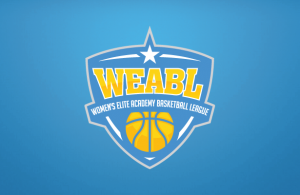 It took 6 minutes until Khia Lee made Oaklands’ first basket, from that point the home side showed how competitive they have become against the top sides in this year’s WEABL. The rest of the game became a 29 – 32 point contest as the home side’s defence slowed the scoring of CoLA. That simply left the home side to wonder what could have been if they hit the ground running to open the game. Having lost by 60 points in the reverse fixture earlier this season, Oaklands can be proud of their efforts and growth as the campaign has progressed. CoLA will now move on, looking for a strong playoff position. Next week Oaklands travel to JMA whilst CoLA get ready for a table topping deciding fixture against Copleston.